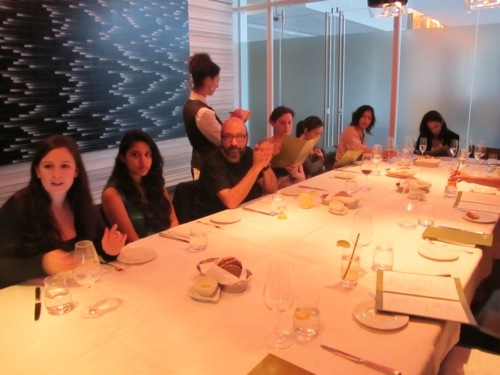 If my first dinner in Toronto with Mickey Contractor and co. was any indication of how the rest of my stay would be, then I should have known it would be fantastic. 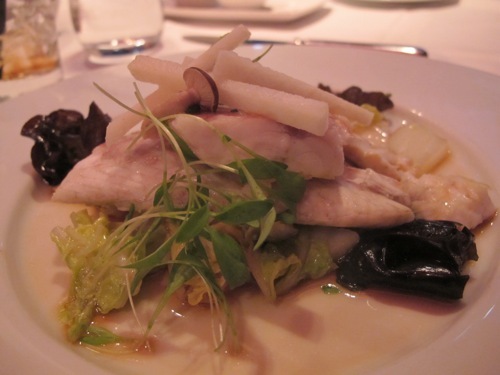 We kicked off the week in style by dining at Nota Bene, a David Lee restaurant. The restaurant name is Latin used to indicate that special attention should be paid to something (or Italian for “note well”). And that you can taste — with a mix of flavors and focus on “farm-to-fork” locally-sourced ingredients, every mouthful was fresh and inviting. 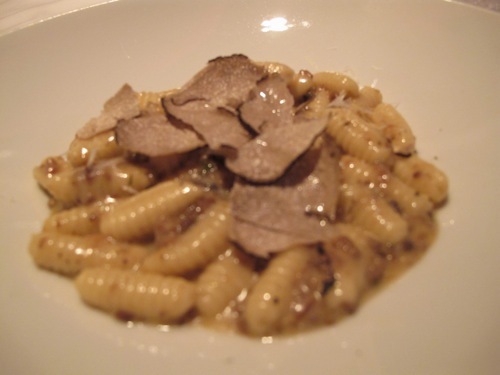 Ok let’s be real: the cavatelli pasta kinda resemble, well, little maggots. 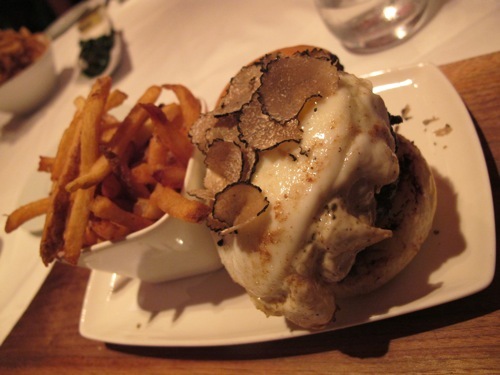 But if you can get over that, the truffle oil and mushroom fusion was a perfect starter. 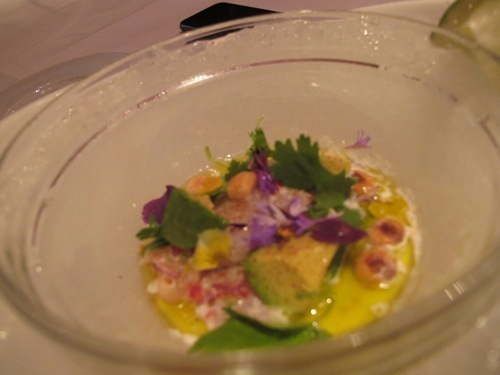 The hamachi ceviche was made with avocado and jalapeno that had a nice spicy kick to it. Oh and it has these little roasted crunchy corn in it that that was an unexpected but welcomed touch. 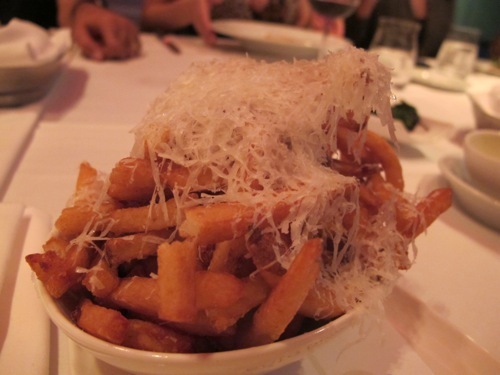 Everyone pretty much died over the vinegary pomme frites and crispy onion rings (not pictured). That was all just to begin. 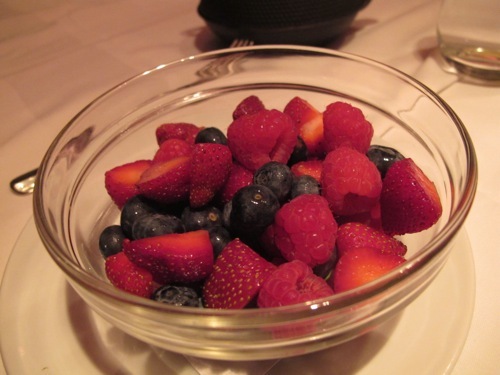 We moved on to our main courses…can you guess what I got? It was a close decision between the steak and burger, but I ended up going with the wagyu burger. The waitress had warned it would be messy, and messy it was, especially considering it came topped with a poached egg. It might have been the first time I ate a burger with a fork and knife. But the meat was delicious. I would probably only get it done medium-well next time (I got it well-done because the waitress also told me the patty was fairly thick, but I think it lost some flavor being a little overdone). 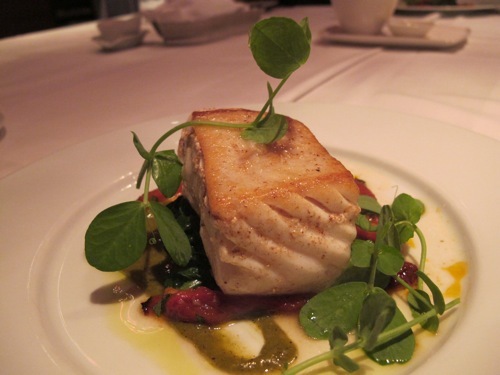 Everyone was equally raving about their own dishes, like the grilled halibut and sea bass. All the dessert was a treat to end the meal off with. 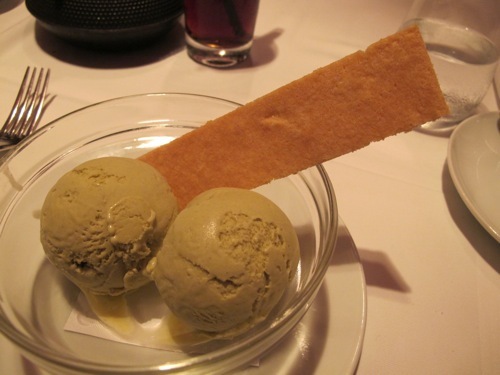 If you want my advice, skip the frilly stuff and go straight to the pistachio ice cream…I may be biased, but the silky dessert tasted like it was just churned behind the counter. So.Good. Oh yeah, and one of the coolest things was how the food is served here — all the waiters came out at once with a dish on each hand, and lined up behind us in a single file. They then simultaneously dip down and served our whole party their plates at the same time. I felt so fancy. Would I go back? : Yes, and preferably in the good company that I was with that night too! Guys, a good place to impress the ladies. Just sayin.